Nebraska football fans do have the capacity for being reasonable (evidence sometimes notwithstanding). So as we settle in for the off-season, let’s take some time to look ahead and think about what we can reasonably expect from Nebraska under new head coach Mike Riley. The bold italic numbers, as a refresher, are the times when Nebraska finished in the top half nationally in those statistical categories. In other words, if the number isn’t in bold italics, it means Nebraska was (put charitably) below average. Put less charitably—especially when the national rankings were in triple digits—it means Nebraska was regularly atrocious. How did those numbers look in the same time period under Riley at Oregon State? In comparison, it’s a mixed bag. With regards to penalties, you could argue that Riley’s Beavers were worse than Pelini’s Cornhuskers. But with regards to turnover margin, Riley’s teams were far better than Pelini’s. So you can stop expecting Nebraska to commit fewer penalties just because Riley is such a soft touch in comparison to Pelini. But you can expect Nebraska under Pelini to do a much better job in protecting the football. A combination of talent and lack of depth will likely push a number of true freshmen onto the field in 2015. The clearest path to the field is probably possessed by linebacker Dedrick Young, given that Nebraska only has five non-freshmen scholarship linebackers on the roster (you can see a class-by-class breakdown of NU’s roster competition here, courtesy of the Omaha World-Herald). Eric Lee and Avery Anderson, two of Nebraska’s highest-rated recruits (according to 247Sports), should be in the mix for playing time even in NU’s crowded and talented secondary. Matt Snyder, a talented offensive weapon at tight end, could be pressed into earlier service if the spring injury to Cethan Carter lingers into the fall. And Jordan Ober looks to come in right away and start for Nebraska at long snapper after losing scholarship snapper Gabriel Miller to injury last year. 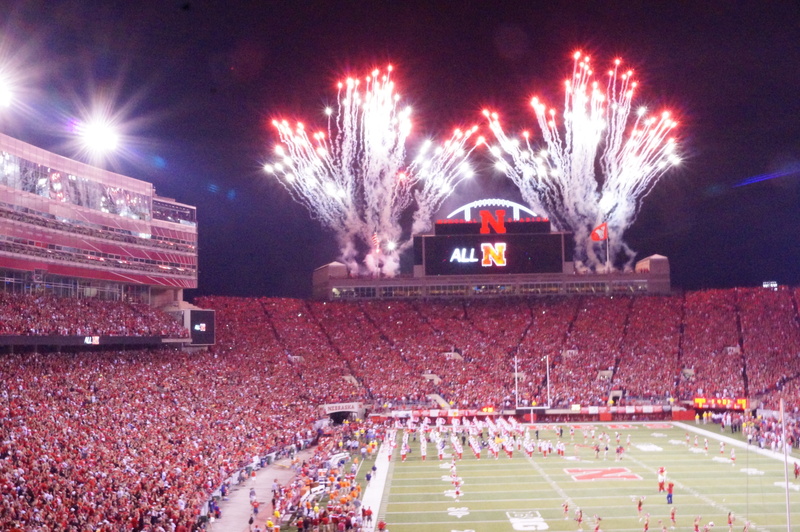 Nebraska’s 2015 schedule isn’t the most difficult, but it’s got some pitfalls. The season opener against BYU is a big challenge, given that Nebraska will be installing a new offense and a new defense. Riley’s first test of his new-look Cornhusker squad will be against a program with a national championship in its locker, not an FCS directional school coming to Lincoln for a paycheck. Nebraska also has to travel to Miami to face a Hurricanes squad with more talent on paper than the Cornhuskers. In conference, Nebraska also has to go to Minneapolis to face a Golden Gopher team with a two-game winning streak over NU (I know, I had to read that a couple of times to let it truly sink in). Games against Wisconsin and Michigan State (and, to a lesser extent, Iowa and Northwestern) will challenge Nebraska, but they are at Memorial Stadium. Last year Nebraska went 9-3 in the regular season. Given the two challenges in the non-conference and the five in-conference, combined with the difficulties of transitioning to a new coach and a new system, besting a 9-3 record would be a challenge. It would take a big step up in quarterback play, or a big step back from a number of Nebraska’s conference foes, to comfortably predict a step up from NU’s 2014 record. We’ll have a discussion later about whether or not that can represent progress for Nebraska. Be patient, it’s a long off-season.